Although 32.5 million pounds is not an extremely large sum by the standards of clubs like Manchester United, it was a transfer record for Manchester City. The club initially wanted Dimitar Berbatov but lost him to United. The 24-year-old Robinho was the highest scorer for City and the fourth highest goal scorer in the league. Sadly, an injury took him out for three months. Everyone knows how badly this entire deal went down for Chelsea. 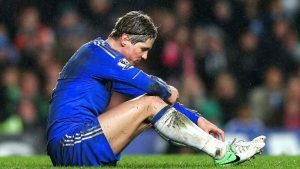 Distraught Liverpool fans, find his plight at Chelsea as a major source of humor. The 50 million pounds transfer is the highest deadline day transfer in the Premier League. Torres scored only one goal during his first season at the club. Nobody expected Arsene Wenger to shell out 42.5 million pounds for anyone. However, Mesut Ozil is now one of the most important players in the lineup. His transfer from Real Madrid was a club record back in 2013. Ozil won the Arsenal player of the year award in his third season.